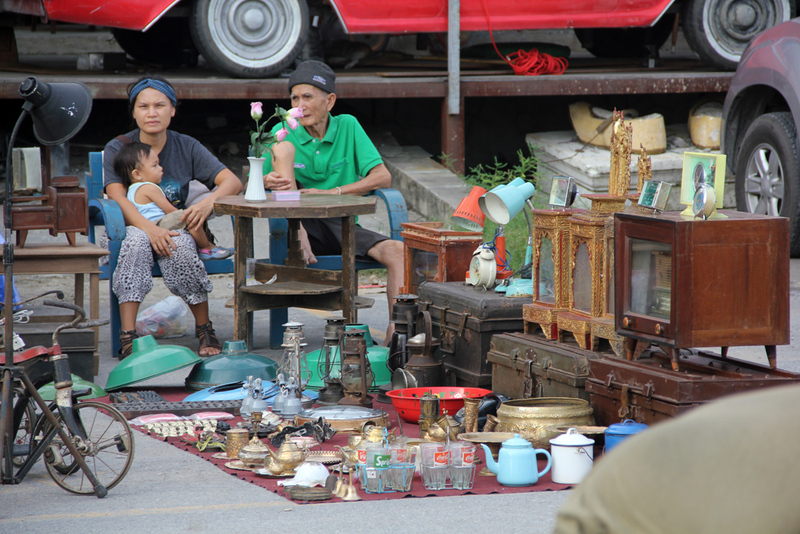 Located next to the railroad track in northern Bangkok is the Antique Train Market. The market is just a short walk from the well known Chatuchak Weekend Market, but serves a completely different audience in a much more relaxed and friendly environment. Each night of the weekend, vendors show up in their antique vehicles and begin to set up their stalls. 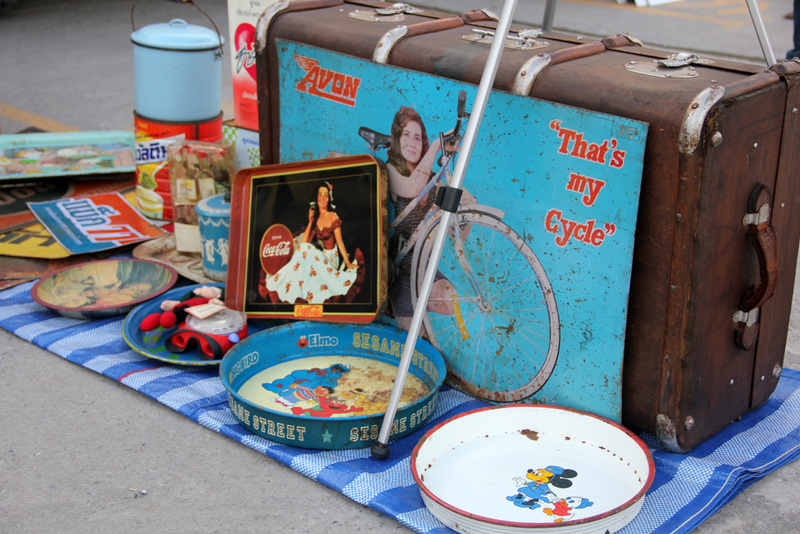 There are a number of permanent stores, as well as stalls that look like they grabbed a couple boxes from grandma's attic and headed for the market. 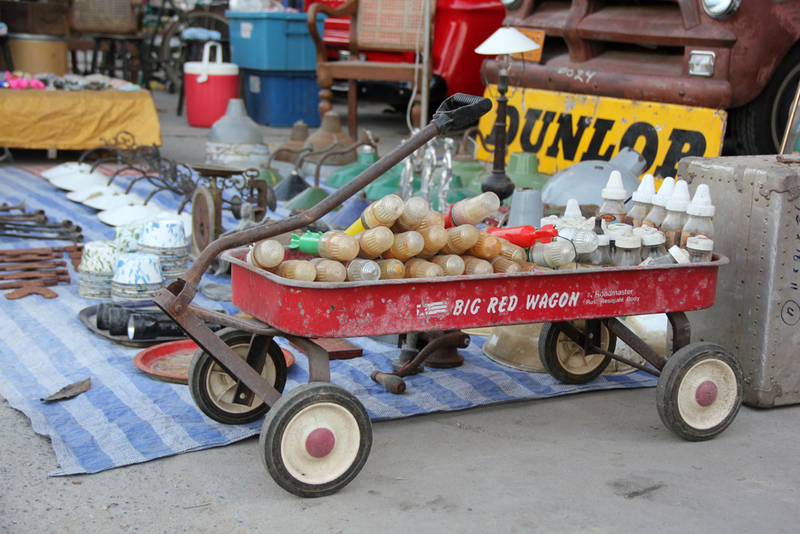 I was particularly fond of the Big Red Wagon, a vehicle I used to frequently drive when I was a kid. It brought back some wonderful memories. 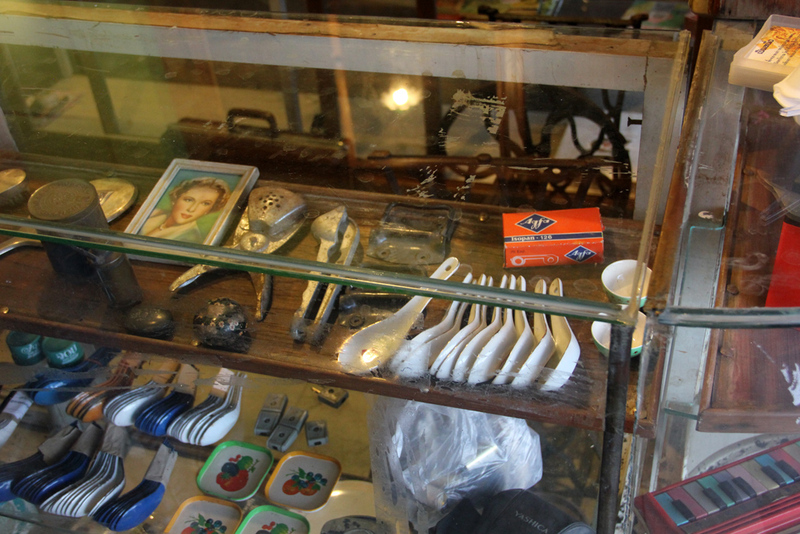 All sorts of antiques were available, both western style like the red wagon, and classic things from Thailand as well. These metal spoons were once the common street food utensil in Thailand, but have now been replaced with mass produced stainless steel spoons and forks. Many of these same things were also present at Sam Chuk Market. Suitcases, Sesame Street, Coca Cola, and Pepsi antiques were all available. 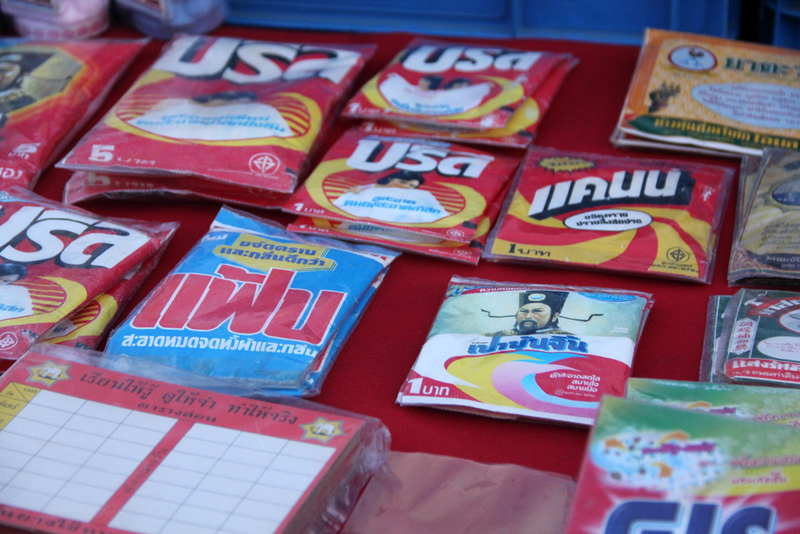 I enjoyed looking at the old advertising designs on essential Thai products like washing detergent, toothpaste, and other old items. 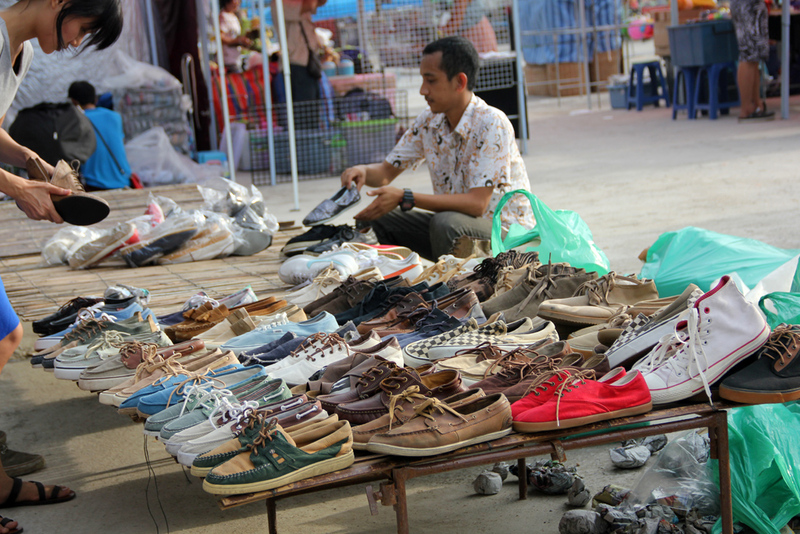 Along with antiques, the market also specializes in second hand vintage clothing. Need a pair of retro Wallabees? This is the place to get them. 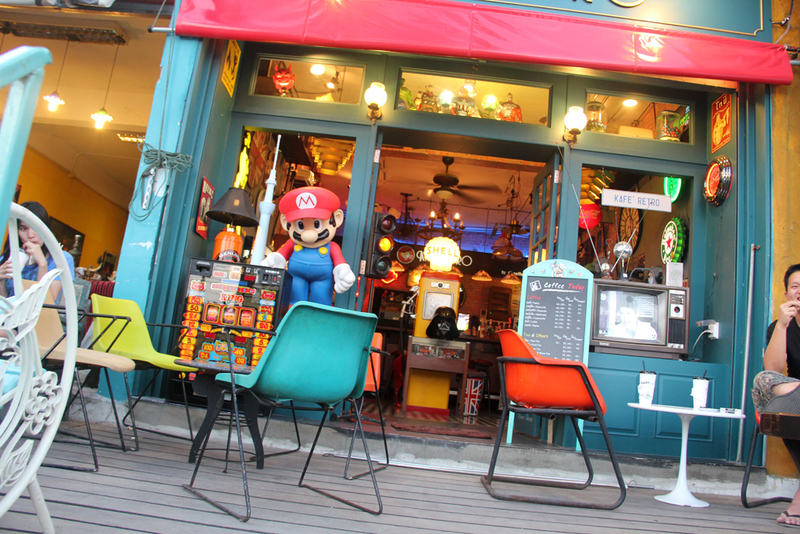 Among the many antique oriented stalls and shops was a Mario cafe. I thought it was a little out of place, but then again, Mario himself is kind of retro character now. Great place to hang out and relax! 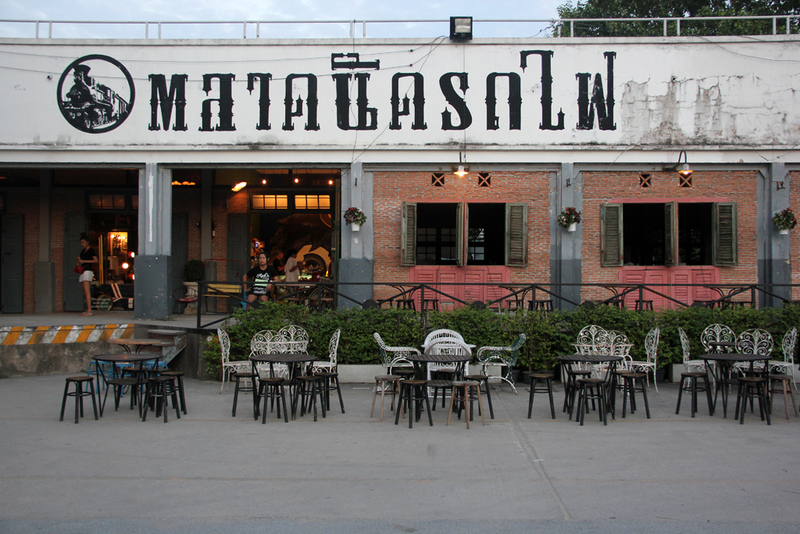 Bangkok's antique train market is not only a place to shop, but also a wonderful place for a relaxing evening of food and drink. 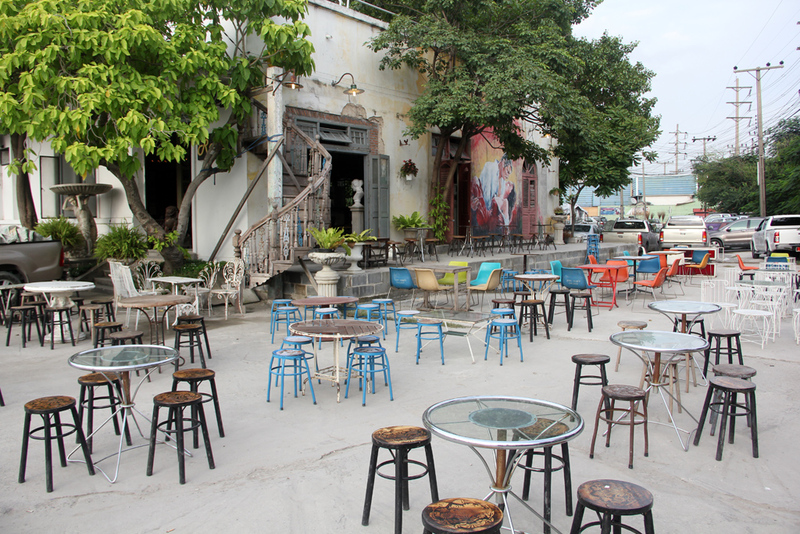 In an empty lot away from the traffic, the atmosphere is peaceful, and the ambiance makes you feel like you've gone back in time. Visiting the train market is one of many fun things to do in Bangkok. It's open on Saturday and Sunday from around 5 pm to 1 am. Take the MRT subway to Kamphaeng Phet station, walk west for about 10 minutes, and you'll arrive at the market on your right hand side. Awesome Angela! I had never even heard of it during my time in Bangkok a few years ago. These photos are great! I’ve been to Bangkok and can’t believe I’ve never been to this market. The Weekend Market is fun, but this one looks like my kinda place. I’ll be checking it out next time I’m there! Awesome pictures. The iron chairs on the first one are so charming. Thank you for sharing! !